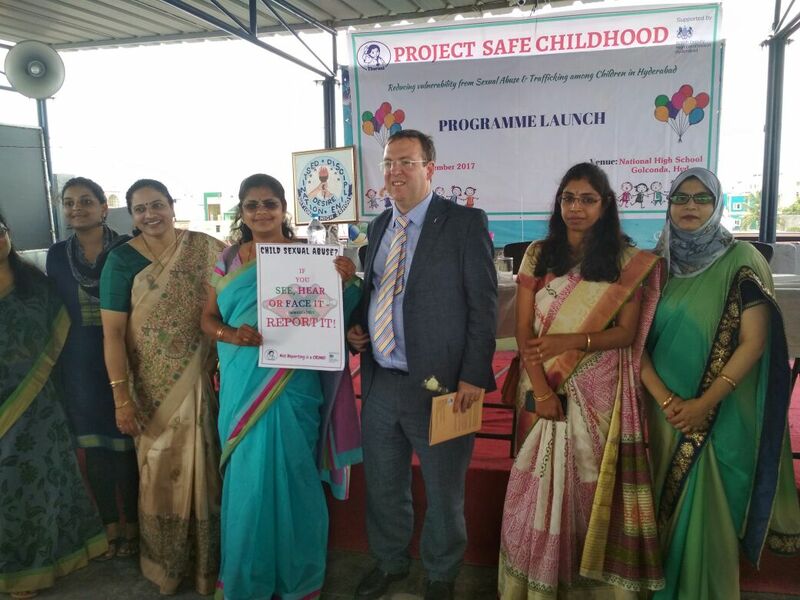 A three day Teachers Training Program was initiated under the 'Safe Childhood' Project, a collaboration between British Deputy High Commission(BDHC) and Tharuni from 14-09-2017 to 16-09-2017 at Hotel Sandhya, Lakdikapul, Hyderabad. 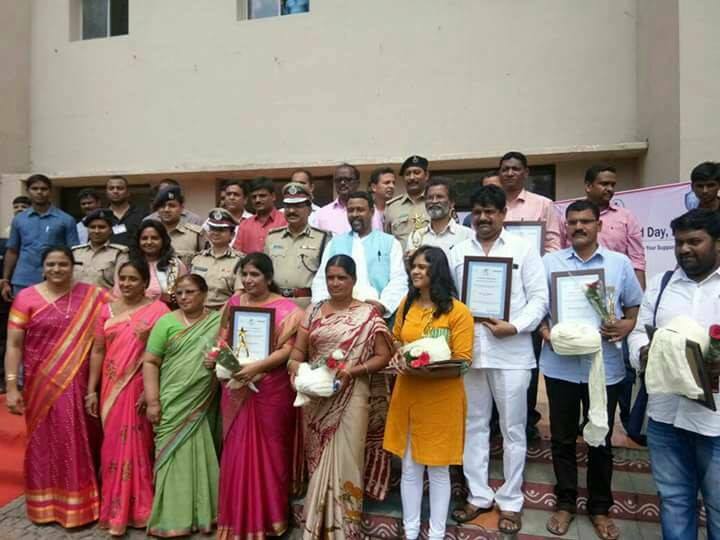 20 teachers(10 Male+10 Female)from Ten different lower income group Schools were selected to undergo training to sensitize them on issues like child protection, prevention of child sexual abuse, , online child sexual abuse, internet safety, elopements, & trafficking and also Child related laws, like POCSO, JJ Act,Abduction and Nirbhaya Act.They will be enlightened on child support systems, life skills, for empowerment of children. 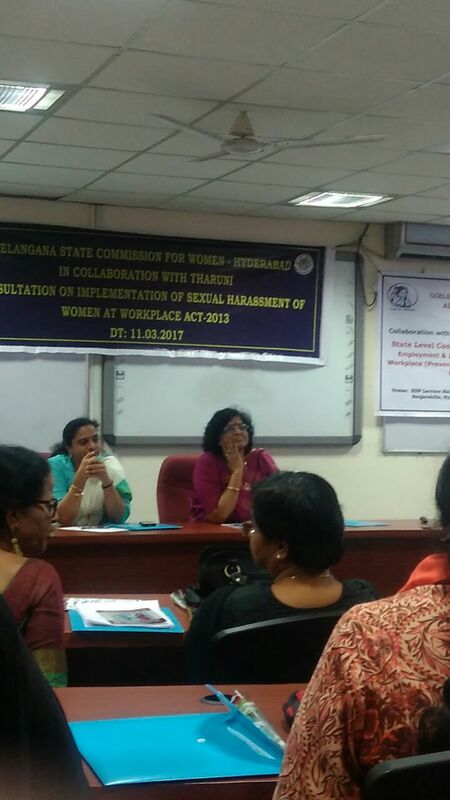 Founder Tharuni, Dr. Mamatha Raghuveer was invited to attend and speak on 'Smuggling and Trafficking of Migrants' in the Thematic Session organised by United Nations;Vienna, Austria, on 4th & 5th September 2017. 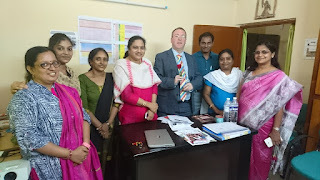 She presented on the contemporary forms of slavery in India, including appropriate identification,protection and assistance to migrants and trafficked victims. Women Enterpreneur Summit was held at Shangrila Hotel, New Delhi on 9th August 2017. 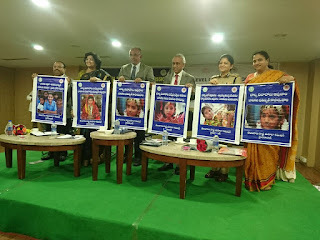 On the invitation of WEA -Delhi, Dr. Mamatha Raghuveer Founder of 'Tharuni.org' was the Moderator for the theme 'Potential for Female Advantage'. 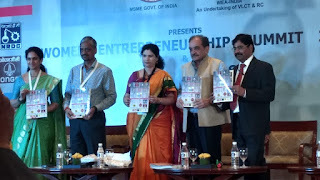 Sri Birender SinghChoudary, Cabinet Minister in the Central Government for the Steel Industry, was the Chief Guest for the Summit. Vijay Kumar Director, MSME, Sonali Shah, Director WEA, Delhi, were the Guests of honour for the Summit. 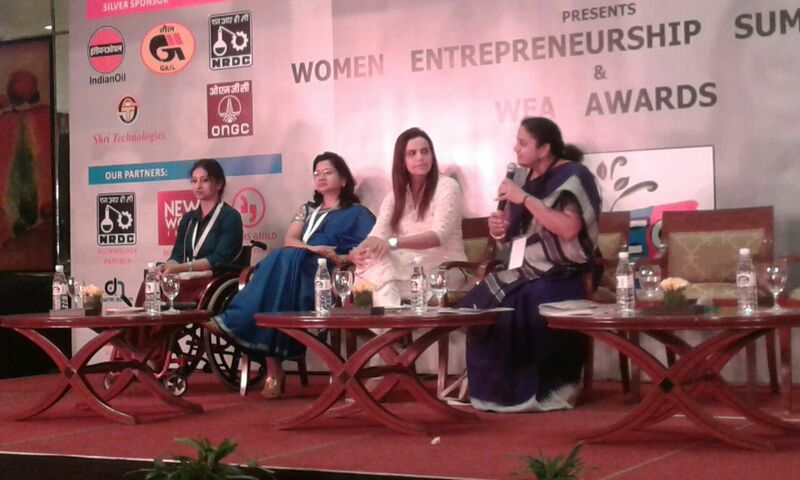 New World Media was the Media Partner for the Event. 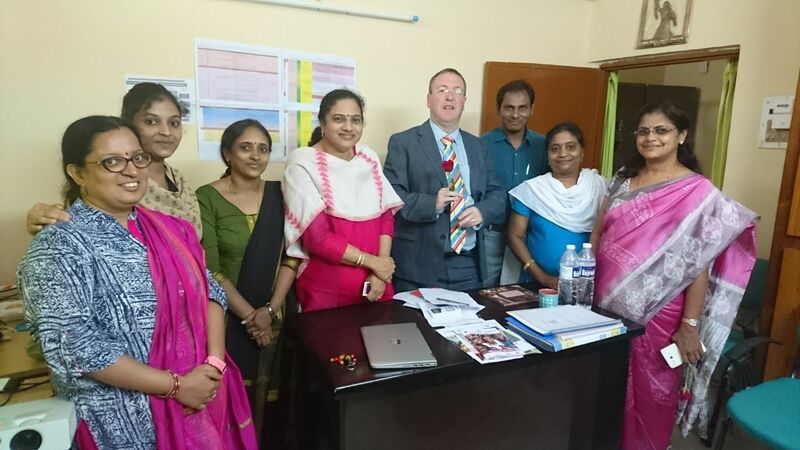 Doers' Guild Software Solutions , Hyderabad, have prepared the App for the Summit.Dr. 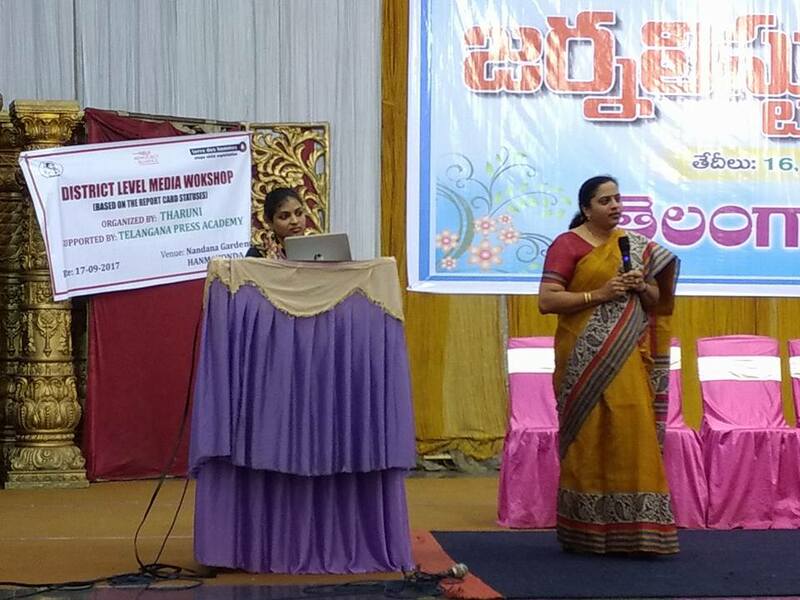 T. Vasantha Lakshmi Ravikumar organised the Seminar by opening the North Indian Chapter of Women Enterpreneurship foundation. 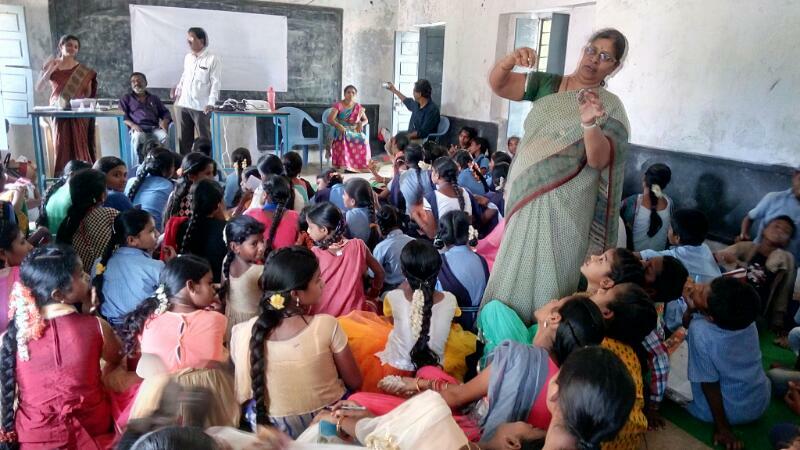 Tharuni in collaboration with Women Children,Disabled,Old age Welfare Department, held Anganwadi Teachers Orientation Programme on 27-07-2017 at Warangal, under the Girls Advocacy Alliance Project. Smt. 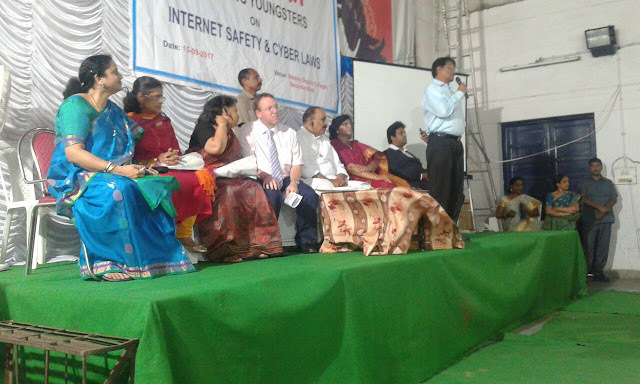 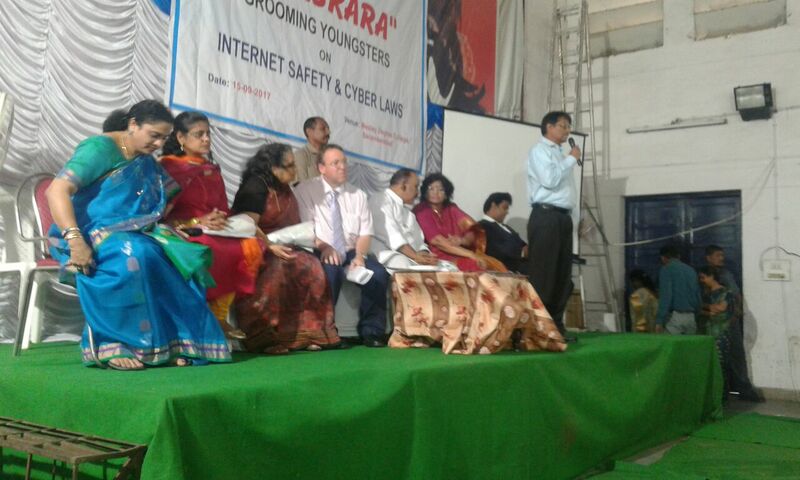 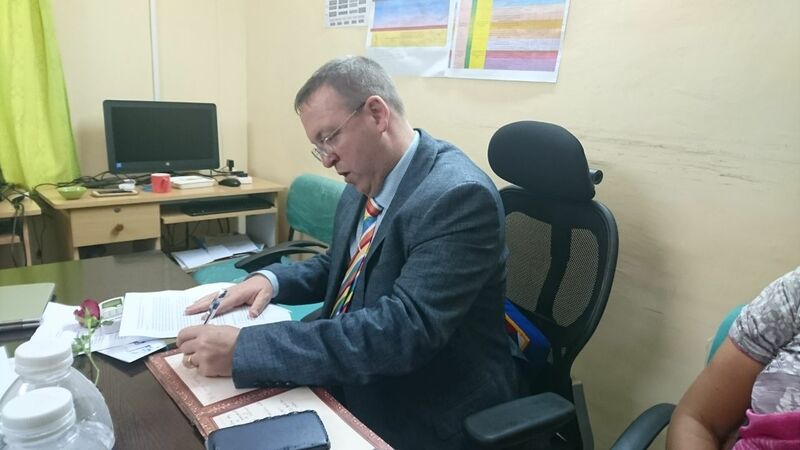 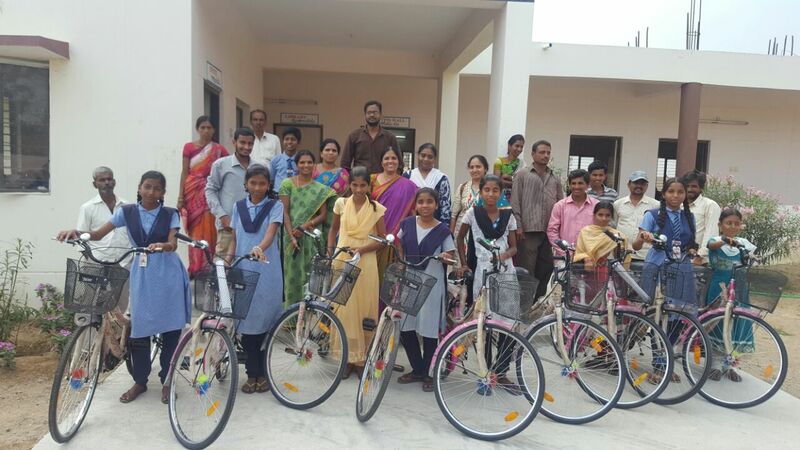 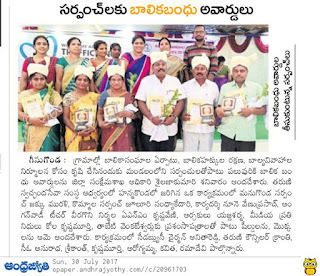 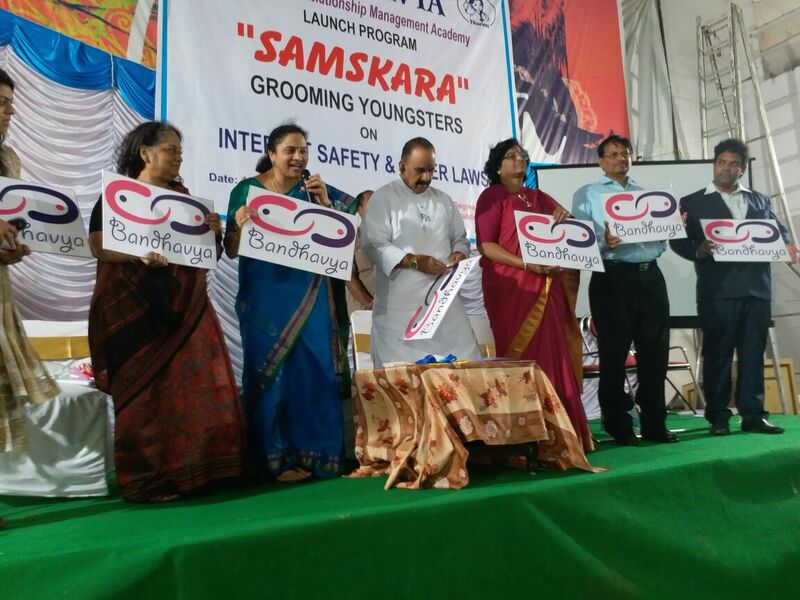 Amrapali Warangal Urban District Collector was the Chief Guest for the Workshop. 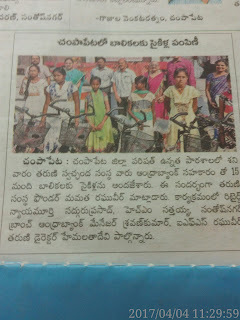 She promised to uplift the Anganvadi Centers. 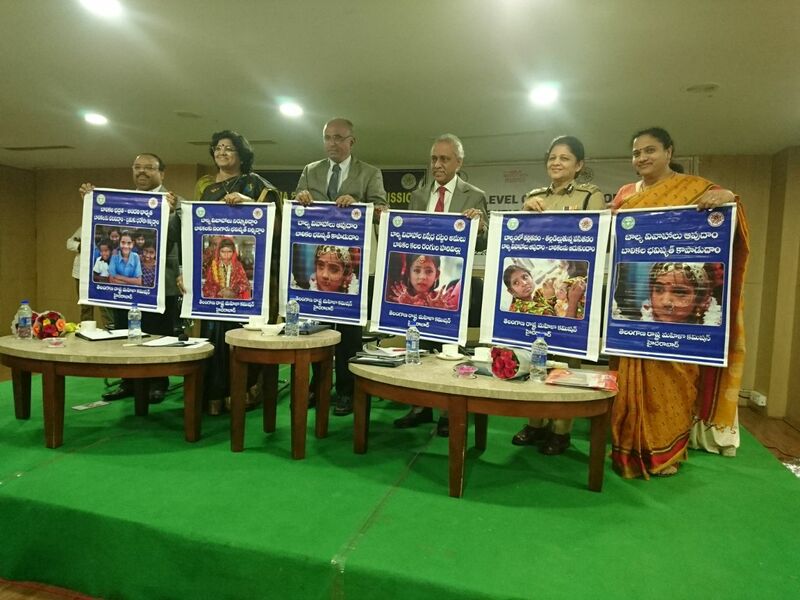 She also reiterated that all the centers will be included with 'Akshaya Pathra (Mid Day Meals) from August. The District Welfare Officer SailajaKumari stated about the important role of Anganwadi Teachers for the welfare of women and children.District Immunization Officer Dr. Syama Neeraja stated about the Anganwadi workers to immunize the Children with vaccination against Measles,Rubella diseases and so on.District Legal Services Authority Judge Christina held that they had trained 30 Anganwdi teachers as paralegal volunteers.Tharuni Communication Officer of (GAA) made a power point presentation on Child Marriage Prohibition Act and Compulsory Registration of Marriages Act to the Participants. 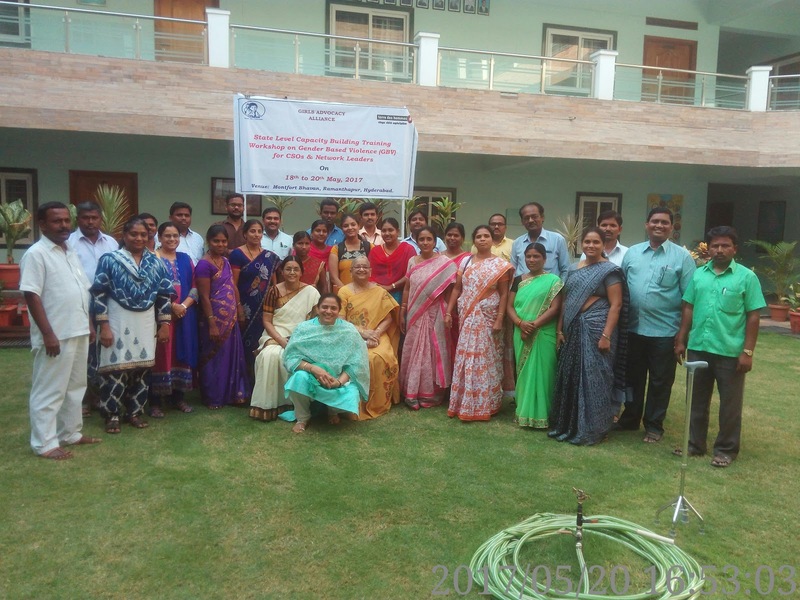 RJD Ramulu, CPDOS, Supervisors,officials , and Anganwadi Teachers participated in the Workshop. On the occasion of World Day against Trafficking in Persons, a Meeting was held jointly by FMM Social Service Society,WomenWelfare Department,Warangal, Child Help Line 1098, and Tharuni.CWC Chair Person Anitha Reddy,addressed the participants on how to be careful and alert against Trafficking of Persons, particularly the young women.Smt. 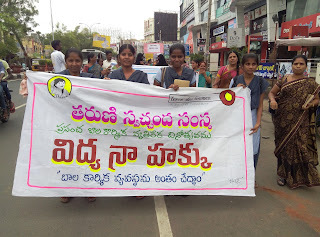 Sailaja Kumari Officer, Women Welfare Department also shared her views against trafficking. Tharuni in collaboration with Girls Advocacy Alliance Project felicitated Balika Bandhus (Supporters of Girls), with Turbans, Shields, Certificates and Plants to the identified Sarpanches, Media Persons, and Purohits. Tharuni Team Kranthi, C.O. 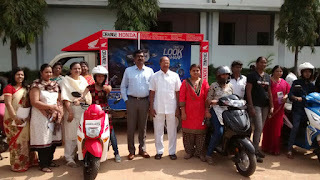 Anuradha, Neeraja, Kavitha and Ravikanth and others participated. 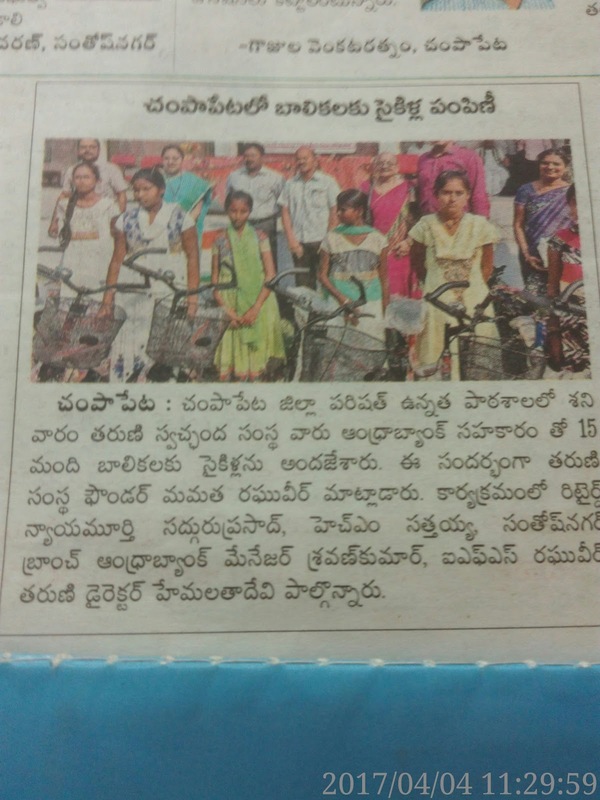 Balika Bandhus expressed their concern to help and support Girl Children to empower themselves. 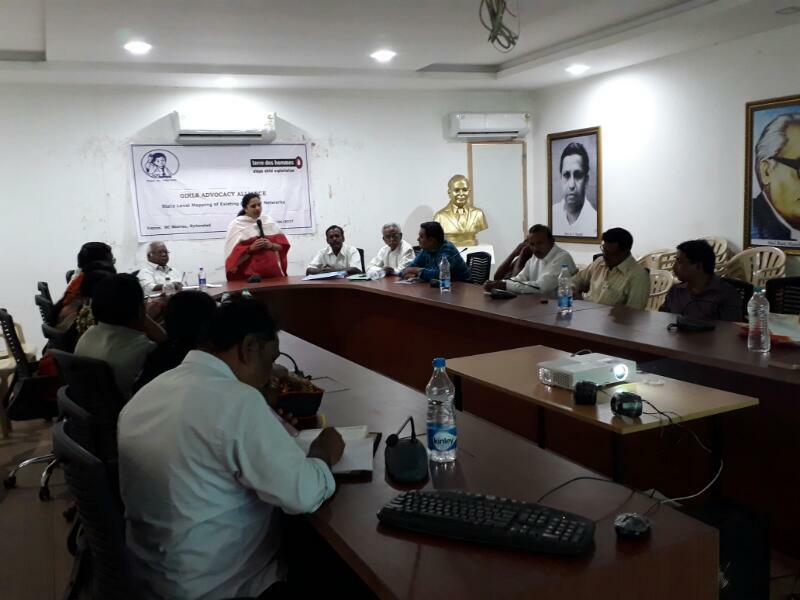 Tharuni organised one day Capacity Building Training Programme to the Police Personnel of Warangal District, on pre and post rescue protocols, and other child protection legislations like PCMA,JJ Act, POCSO and ITPA.,on 17-06-2017 At City Police Training Center, under the Girls Advocacy Alliance Project. 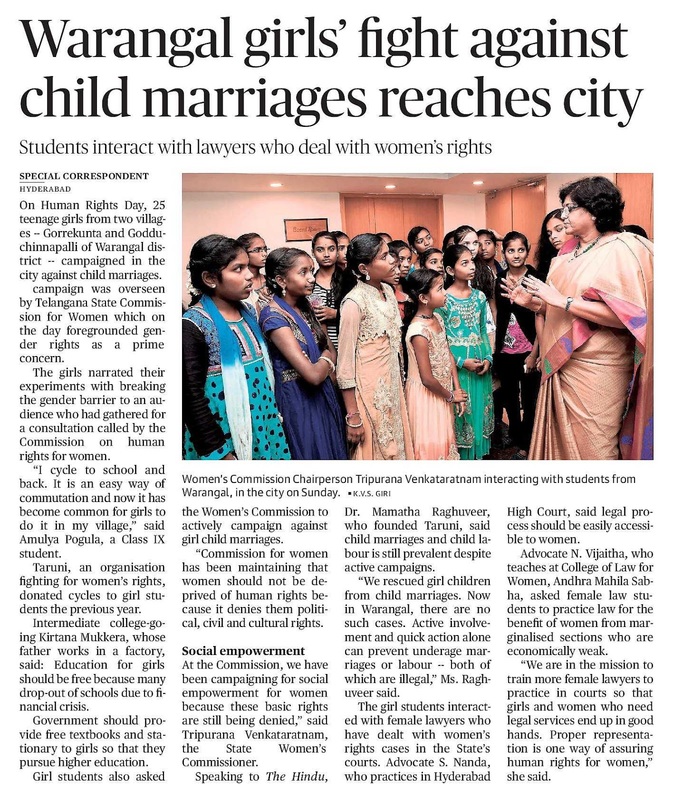 It was conducted to sensitise on the concerns of Girl Child, and relevant laws, to develop awareness about their roles in protecting the girl children, from gender violence and to work for their welfare. 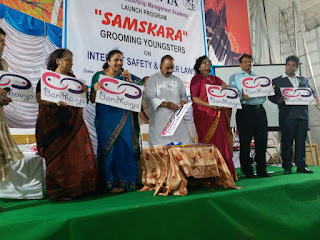 Sri C. Satyanarayana Asst. 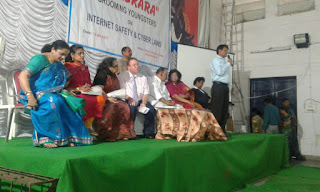 Commissioner of Police inaugurated the Workshop. 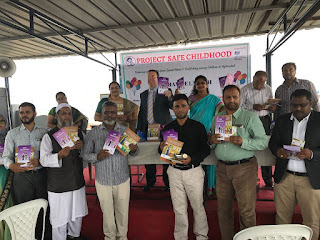 Dr. Mamatha Raghuveer, Founder Tharuni, presented on the objectives of the GAA Project, and explained on the different Legal Enactments and the Role of Police,in protecting the girl child. 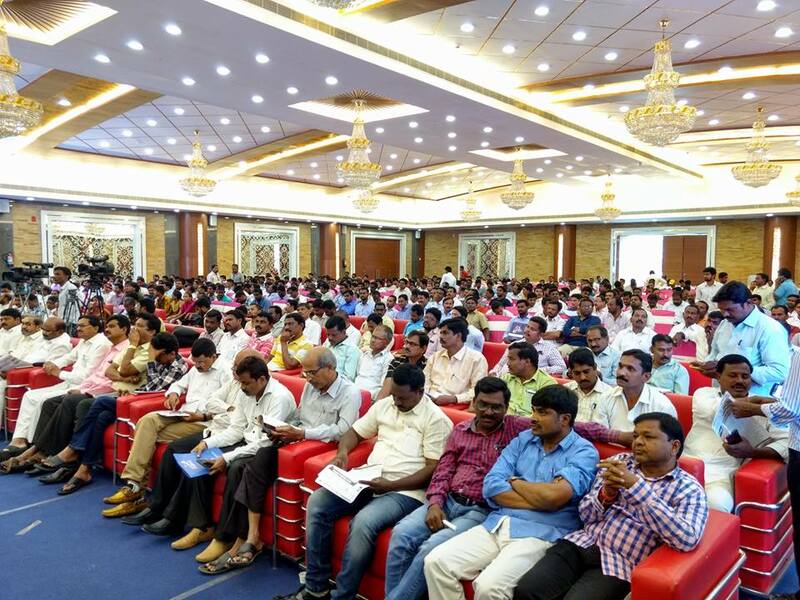 173 Police Personnel and Tharuni Team of Warangal participated in the Training Programme. Booklets were distributed on the child related Laws. 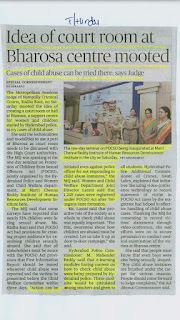 Telangana State Press Academy is conducting two day State level Training Programme for Media Fellows on 10th & 11th June in JNTU Campus,Tharuni was permitted to enlighten the Media Persons on Child Rights issues, on 10th Afternoon, as part of Girls Advocacy Alliance Project by Terres des Hommes , Netherlands. Press Academy Chairman Sri Allam Narayana presided over the Meeting . 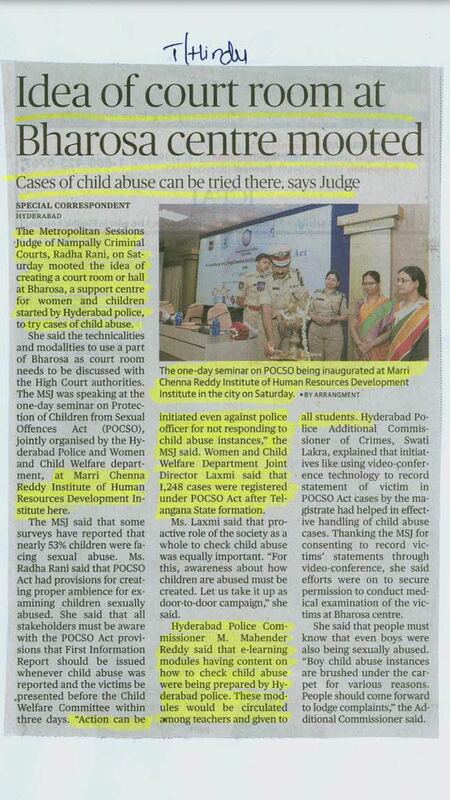 Dr. Mamatha Raghuveer Achanta, Founder Tharuni, made a presentation on Child issues, and how the Media has to react against such issues to protect the voiceless children, by understanding their Rights.She also explained the Child Rights on PPT. About 300 Media Fellows from three districts of Telangana attended the Consultation.They were given Tharuni Booklet on Child Rights and News Letter,in which what is expected from the Media while protecting the Children and their rights. Consultation on compulsory registration of marriages act was organized today. 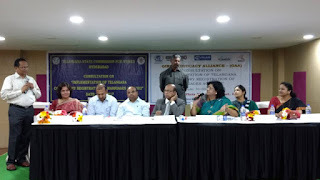 Tharuni organised State level Capacity Building Training Workshop on Gender Based Violence(GBV) for CSOs &Network Leaders from 18th to 20th May 2017 at Montfort Bhavan, Ramanthapur, Hyderabad under Girls Advocacy Alliance Project of Terres des Hommes, Netherlands. 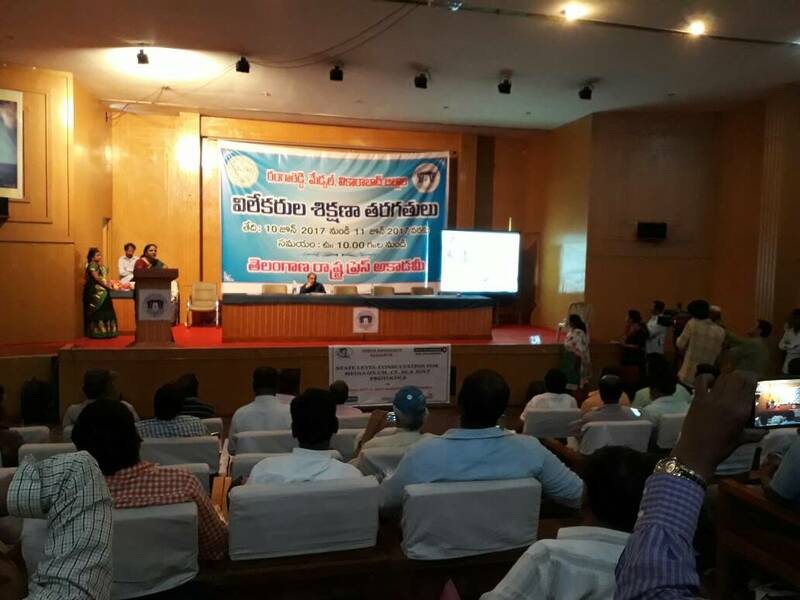 Twenty five Non Governmental Organisations from Warangal, Khammam and Mahbubnagar Districts of Telangana attended the Workshop. 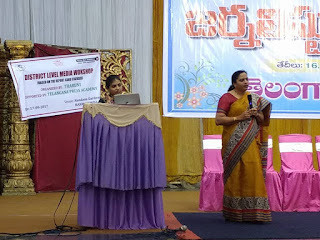 Kondepudi Nirmala Telugu Writer and Social Activist was the Resource Person to enlighten the Participants for the training. 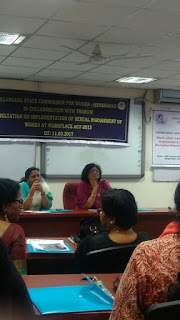 Dr. Mamatha Raghuveer,Anuradha, Communications Officer , Tharuni, gave the inputs of legal background and the Rights of the women on Gender violence. Dr. Hemalatha Devi, Director, Tharuni,presided over the valedictory and distributed Certificates to the Participants.